Surprisingly, not considering the threat perception the defence budget for the fiscal 2019-2020 has been merely increased by 6.87 per cent to Rs. 3,18,93 crore against last year’s allocation of Rs. 2,98,418 crore, notwithstanding expectations of a major hike when China and Pakistan are bolstering their military capabilities. However, in real terms the Defence Budget has gone down, as the hike announced doesn’t even cater for inflation. Officials said the final amount of defence budget included funds set aside for Border Roads Organisation, Coast Guards and allocation made for payment of salaries and allowances to civil staff of the defence ministry. Luckily, the total outlay does not include Rs. 1,12,079 crore set aside for payment of pensions. The only silver lining is that the Finance Minister Piyush Goyal said, “For securing our borders and to maintain preparedness of the highest order, if necessary, additional funds would be provided”. Out of the total allocation, Rs. 1,08,248 crore has been set aside for capital outlay for the year 2019-2020 to purchase new weapons, aircraft, warships and other military hardware. Last year, the government allocated Rs. 93,982 crore as capital outlay. Under capital outlay, the Army was granted Rs. 29,447 crore, the Navy was given Rs. 23,156 crore and the Indian Air Force got an allocation of Rs. 39,302 crore. After meeting Committed Liabilities for procurements contracted in earlier years, there is no money left for new equipment. The revenue expenditure which includes expenses on payment of salaries and maintenance of establishments has been pegged at Rs.2,10,682 crore as against Rs. 1,88,118 crore for 2018-19. Hopefully, the allocation for defence forces is likely to be enhanced when the new government presents a full-fledged budget after the Lok Sabha polls, this being an interim budget. “The allocation for capital expenditure is totally inadequate given the kind of modernisation our armed forces are envisaging,” said Dr. Laxman Behera of Institute of Defence Studies and Analysis (IDSA). Behera said the defence budget is around 1.44 per cent of the GDP, which, he called as “insufficient” considering the evolving security situation in India’s neighbourhood. Last year it was 1.58 per cent of the GDP, which was also considered to be the least since 1962 war against China. The defence ministry said the capital outlay for armed forces is 32.19 per cent of the government’s total capital expenditure of Rs. 3,36,293 crore. It said the total defence allocation including for funds for pensions accounted for 15.48 per cent of the total central government expenditure. Strategicians find such a small increase disturbing as it comes at a time when the Indian Armed forces is in the midst of a huge modernisation process, compared to its neighbours Pakistan and China who are already focussing on modernisation programmes. The capital outlay announced for the modernisation of the armed forces is not sufficient for the Army, Navy and Air Force. According to reports, the Indian Army has often pointed out that almost 68 per cent of its equipment is outdated, and the world’s third largest army needs to urgently modernise its armaments and weapons system. Surprisingly, the major part of the army is deployed for its secondary role – counterinsurgency operations in North East and Jammu and Kashmir – suffering a large number of casualties because of lack of sufficient small arms and equipment –assault rifles, sniper rifles, light machine guns, carbines, night vision and night firing devices, bullet proof jackets, bullet proof helmets and so on. Shortage of funds is going to impact the Navy’s procurement of the projects in the pipeline including frigates from Russia, minesweepers from South Korea, a second indigenous aircraft carrier which is already stuck due to lack of funds, fighter aircraft for the carrier, and multi-role helicopters. The IAF’s Capital allocations have proportionally dipped from 58 per cent to 49 per cent this year.The IAF is in the process of paying Rs 5000 crore to Rs 7000 crore annual installments for the French `Rafale’ fighter, which has hit the planned purchases like the single-engine fighter and a range of force multipliers like aerial refuellers that are in the pipeline. According to Amit Cowshish, former Financial Advisor (Acquisition), Ministry of Defence, “A like-to-like comparison with the last year’s budget shows that there is an increase of about 8 per cent in the overall defence budget, excluding pensions. It is difficult to say whether after meeting all the committed liabilities, adequate funds will be available for new purchases and meeting other operational requirements”. To ensure self-reliance, the government is emphasising on “Make in India”. It is undoubtedly in the right direction, however, implementation needs to be fine-tuned. 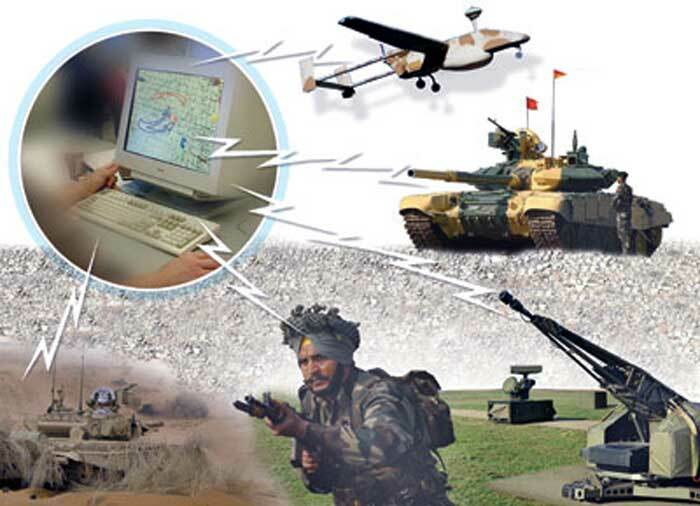 Capability to produce defence equipment in India is an important strategic requirement. It results in cost savings, employment generation and reduces possibility of sanctions or denial by the supplier nations. But the Budget is not the appropriate tool to encourage this. Services require suitable equipment to be ready to meet any operational contingency. Fulfillment of such requirements cannot be deferred to accommodate equipment, which is still in design and development stage with uncertain outcome. Since the Public sector has failed to progress beyond licensed production, the Private sector participation needs to be encouraged much more than what has been done so far. Presently, India which has the fastest economy in the world is spending around 1.5 per cent of its GDP on defence, which is far less than China that spends 2.1 per cent and Pakistan thatspends more than 2.36 per cent of its GDP per annum even when it can ill afford. Actually, around 85 per cent of the Defence budget is currently spent on meeting human resource expenses (pay and allowances including MoD civilians pay and maintenance) that leaves a very thin margin for upgradation of the defence equipment. India needs to spend 2.5 to 3 per cent of its GDP on defence if it wants to thwart its adversaries any adventurism across borders. Col (Dr) P K Vasudeva is a defence analyst and commentator. Is Indian Defence Preparedness Adequate in 2019? A Threat Perception ! Who is going to do it ? Is there any apex organisation that monitors supreme National Interests? Does India know as to what does she want even after 72 years of having attained freedom? What are her aims & objectives & what place does she wants to have in the comity of Nation States! National Security is a complex subject -much beyond the grasp of Netas & Babus. The latter do not want to become accountable & responsible. They just want authority /power. India does not possess a documented National Strategy. Since there is no such document, how can you deduce /arrive at National Security Strategy ? Security requirements. And, in our scheme of parliamentary democracy, we have to be satisfied by the statement given by Piyush Ji. इस लिये -चरेवेति -चरेवेति !